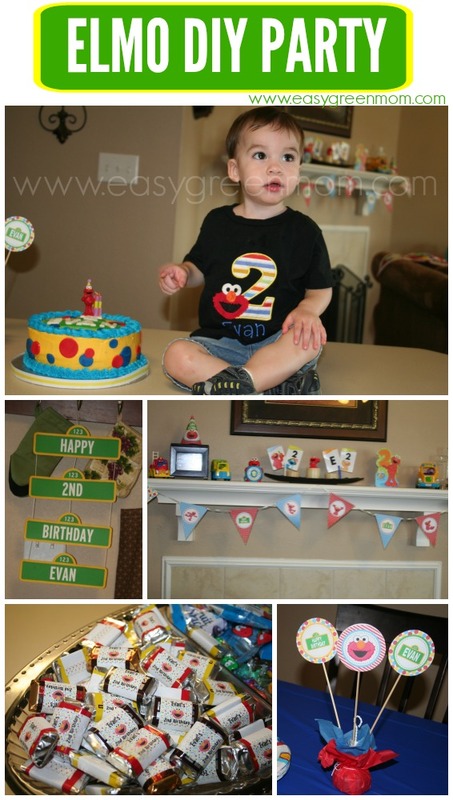 For my son’s 2nd Birthday we had a Super Cute Elmo Themed Party. I made most of the Decorations myself. I used a free printable Elmo kit from Sherry K Designs. Click Here to go to Sherry K Designs. I also purchased a personalized Elmo Kit from Etsy. The kit I used is no longer available but here is a similar one. 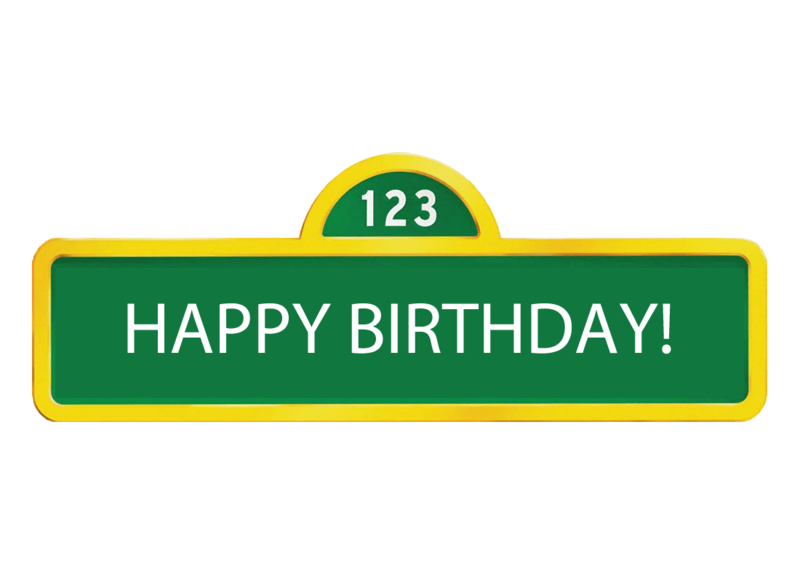 I made a custom Sesame Street Signs on my computer and stringed them together. It turned out really cute! To make a sign like mine use the Free Printables below. Save the file and open it in an editing program. PicMonkey is a great option, it’s a free online editing program and is really easy to use! Just open blank sign file and add your text to the sign. Use Tahoma or Arial font all caps in white. I used Elmo merchandise we already owned to decorate the house. I had my son dressed in a cute personalized Elmo shirt for the party from Etsy. Click here to Go to Etsy Shop for Elmo Shirt. I designed a simple cake and had a cake maker friend make it for me. For th top of the make I purchased an Elmo candle from amazon. An Elmo pinata was made by myself from a cardboard gift box, tissue and printed an enlarged Elmo face for eyes, nose, and mouth. It wasn’t the best for breaking purposes but it was super cute and it made for a fun mask afterwards! If you like this printable you may also want to check out my other FREE PRINTABLES. This is such a sweet party idea. It’s perfect for a toddler! Thanks for sharing all these ideas!!! I can’t wait to try some of these for my girls second birthday! I tried to use the blank sign to mimic the 3 signs strung together, but cannot put text in the blank sign. Any advice? You can copy the image to Microsoft word. Create a text box and change the outline and fill to no color. Then you can free type. You can also use picmonkey.com. It’s a free editing program and very easy to use. Tahoma in all Caps is the font that looks the most like their font. You gave some great ideas! 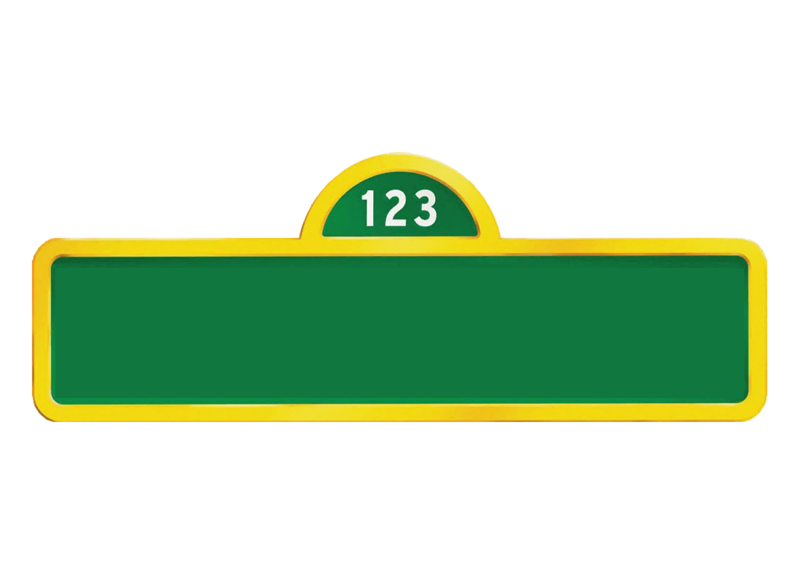 Thank you for the street sign template. It made my planning easier! Omgosh this turned out so cute!! I love how easy you made everything!! So perfect and what a cutie!! Hello! How did you print the labels? I used avery return lables. I used their template (can be found here http://goo.gl/Jo25Fe) on Microsoft Word. I used a inset picture to add elmo image and added wording with a text box. What an adorable party! I just love free printables! This is just too cute and thank you for sharing this DIY with us. I can’t seem to save the sesame street sign. It only saves as a web file. Can you tell me how I could save this and personalize? Hello Gloria, Click on the image it will open in a new box. Right Click on image and select “save image as”. It is a .png file. Once saved open file in an editing program or online editing program PicMonkey.com Please let me know if you need anymore help. I’ve updated the files. You can chose either a jpg or pdf file. Confused on how you made it into the actually big sign ! Please help !